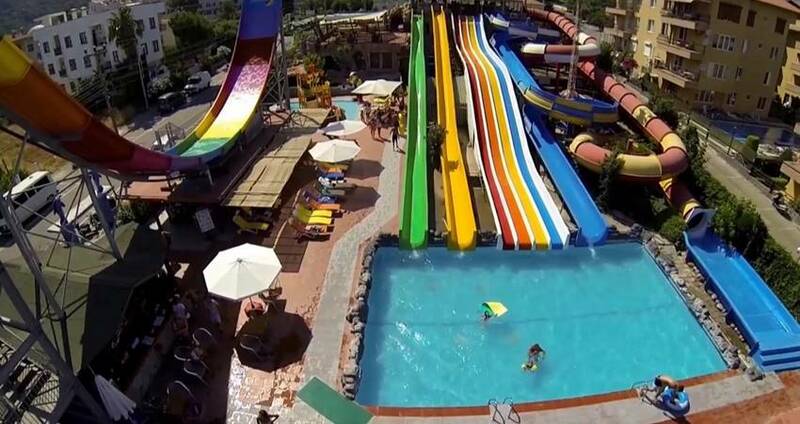 You can see the available dates for Star Water Park Marmaris. Please use the booking widget to make reservation. 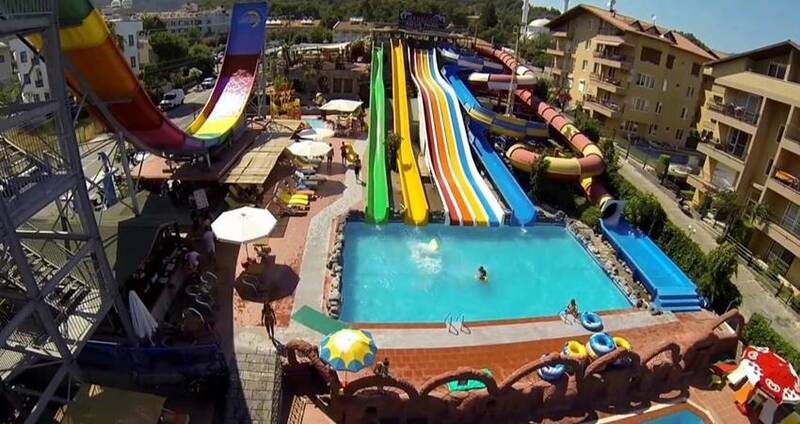 Star Water Park Marmaris is the smallest water park in town, popular among the families with children. As its pretty small comes handy to keep an eye on the children. 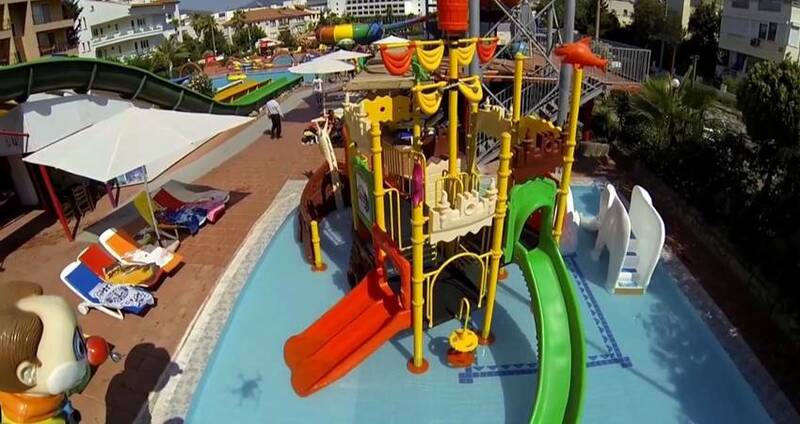 Marmaris Star Water Park is not boring for the parents either, the bar is open all day long in the park. Star Water Park is more designed for the organization of various corporate events and parties, and often takes private groups. 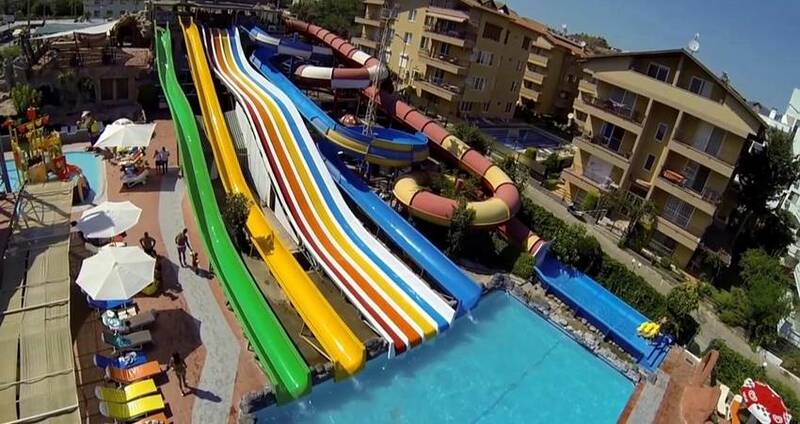 This small water park has got a plus, in fact the water park is almost never full and there are no queues on the slides. 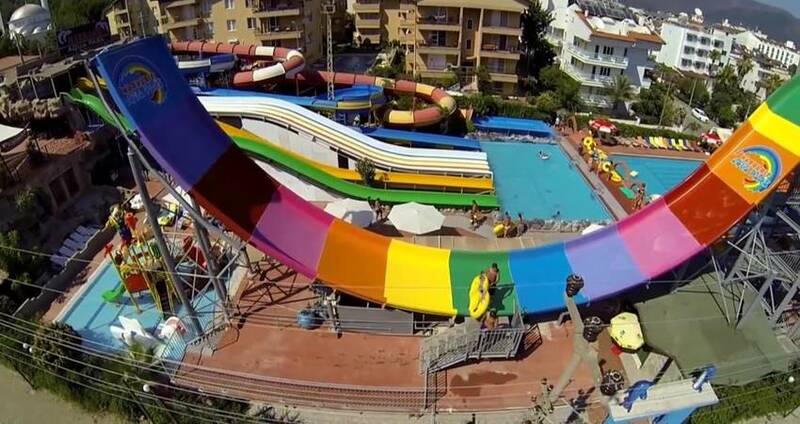 Star Water Park located on the main street of Marmaris, next to a large supermarket Migros. 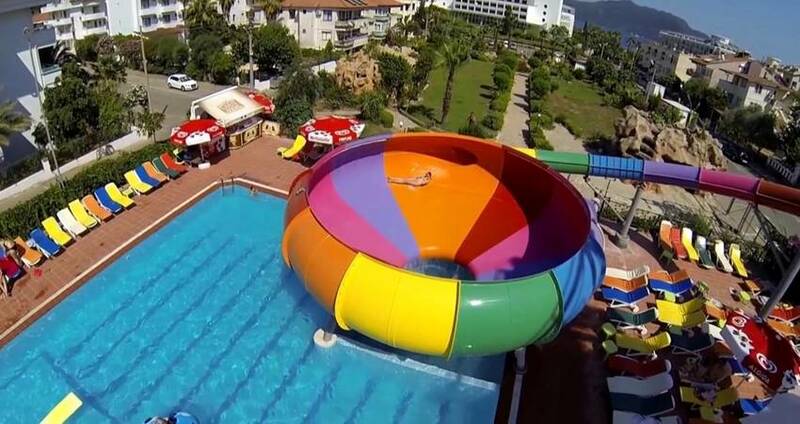 You can book Star Water Park Marmaris Online which comes as a package with free hotel transfer and entrance fee to the park. In Star Aqua Park bar serving local alcoholic and non-alcoholic drinks and a large variety of snacks. Guests can enjoy the water park facilities and the bar during their visit. 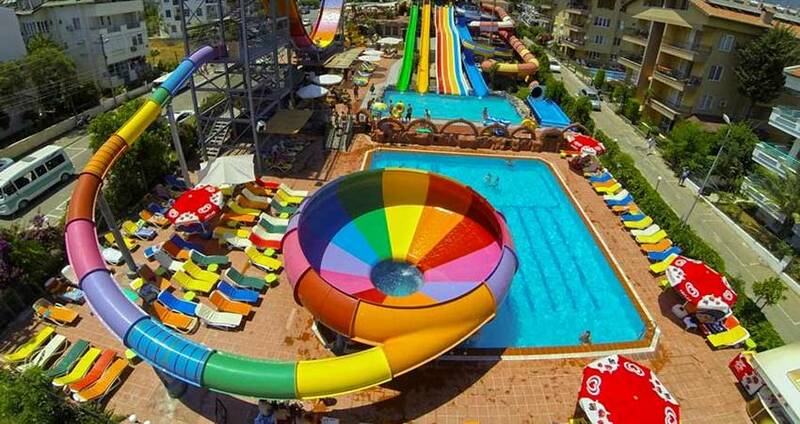 Full Insurance, Hotel Transfer, Entrance Fee to Star Aqua Park, Lockers, Showers, Sunbeds & Umbrellas. Any Food or drinks from outside will not be allowed into the Waterpark. 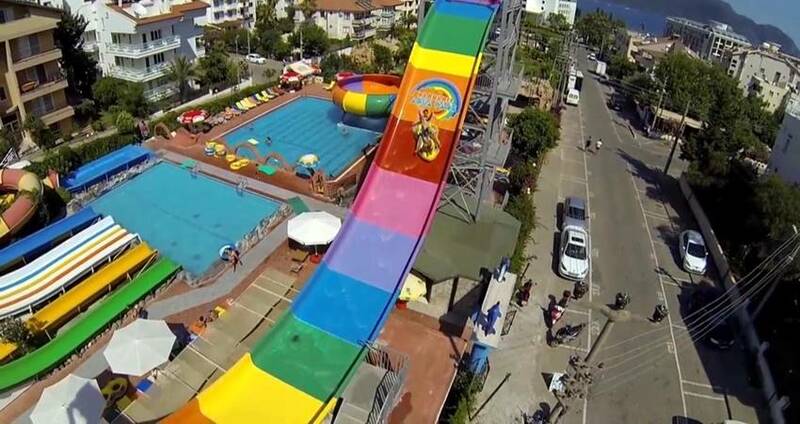 Be aware of the slippery and wet surfaces in the waterpark. All jewellery, watches, eyeglasses, sunglasses must be removed before sliding. 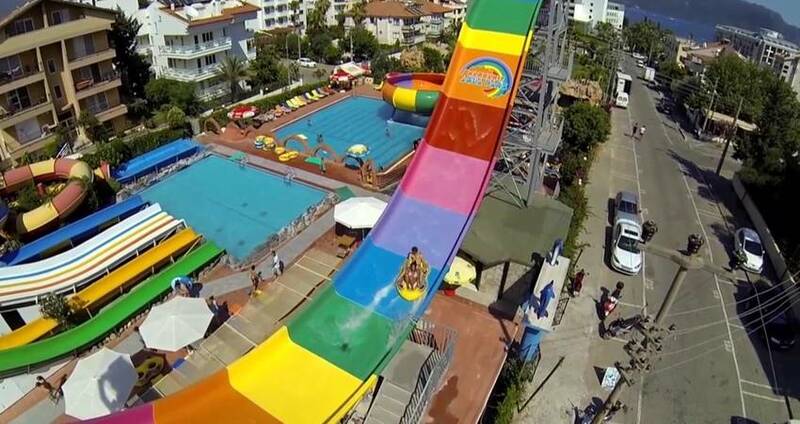 Star Water Park Marmaris located right at center of Marmaris, just next to the main road. This is the smallest one in Marmaris but alway open in april and late october. Easy to look after kids if you are a big family. Because of the policy of the Water Park, guests are not allowed to bring any food or drinks from outside. 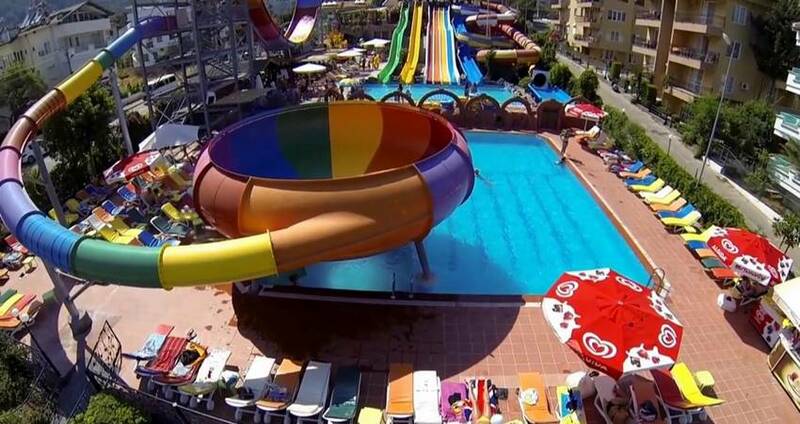 When is Star Water Park Marmaris open? 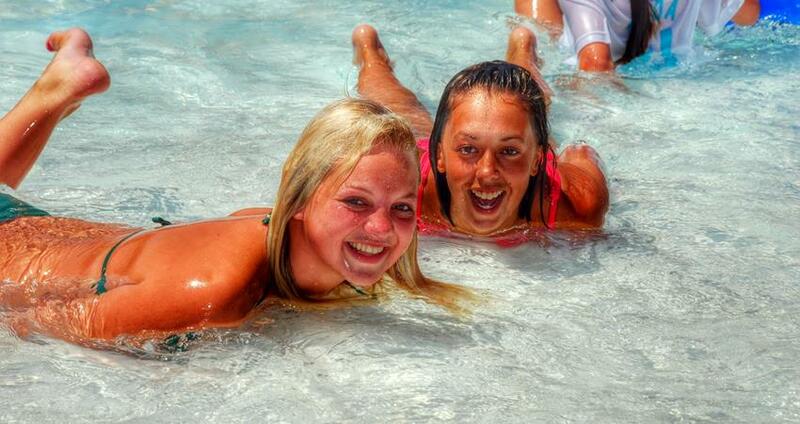 We have 5 different sessions as pick up time from the hotels in Marmaris and icmeler. 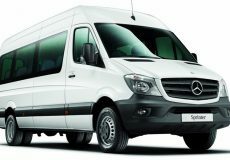 According to your time preference we will pick you up from your hotel accommodations and transfer you to the Start Aqua Park. 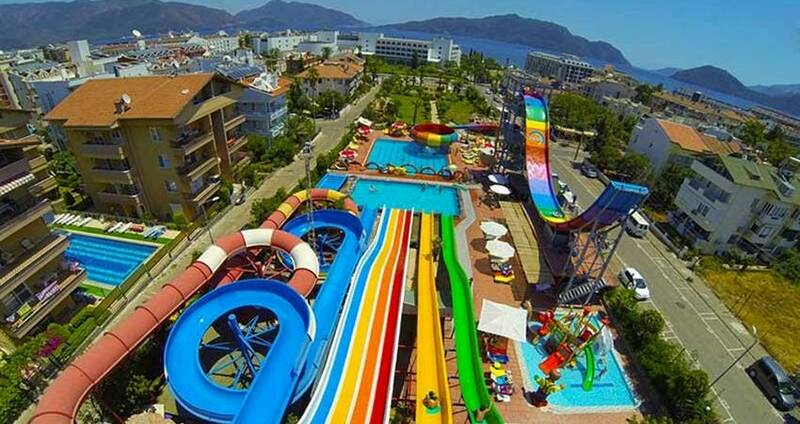 Marmaris Star Water Park is ready will all facilities to make sure that you and your family will have the most enjoying day ou in Marmaris. 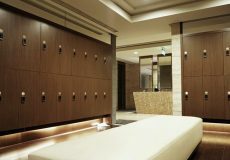 The Water Park has got a wide range of facilities all summer long including lockers, changing rooms, shower , toilets. Also 8 different slides provided with no extra cost. In the afternoon a small foam party will be organized near the pool side at the Aqua Park, this will be the time to party with music and dance.ovided at no extra cost. 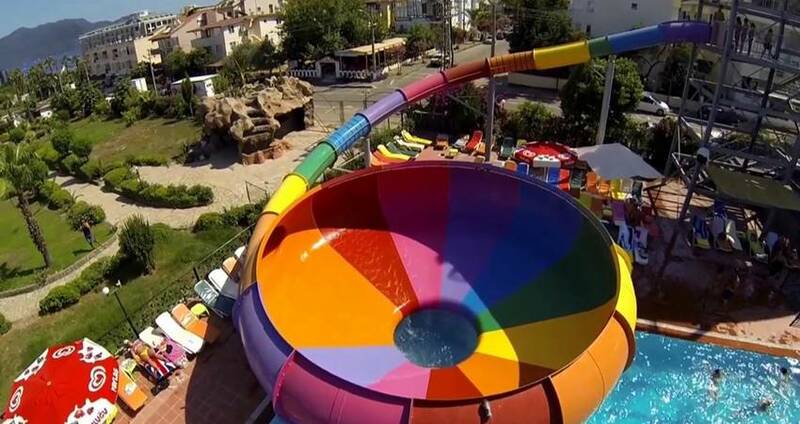 Some of the important facts and useful information about " Star Water Park Marmaris "